What Is Speculative Fiction, Anyway? I'm excited to welcome B. B. Griffith to Book Den! He's discussing one of my favorite topics today: Speculative Fiction. My wife and I were out having dinner with friends the other night when the discussion came around to books and reading (as it often does). Now don’t get me wrong, I love talking about books. Reading and writing are a huge part of my life and so naturally they come up a lot, but I always sort of dread the ol’ question: So what do you like to read? The problem is, speculative fiction covers all of those “normal” topics too. Speculative fiction books address all of the addiction and the daddy issues and the inner turmoil and whatnot as well, they just do it with…vampires and wizards. And sometimes they tackle these topics with ghosts, or robots, or magic, or a whole myriad of other strange and weird things. So you can see my problem. I have no idea what type of books I like, I just know I like them. I can tell you with some authority, however, that whatever it is that you are currently reading, I’d probably like it as well…If you were to throw a wizard or a robot in there somewhere. But then again, what isn’t improved by the addition of the odd wizard or robot? 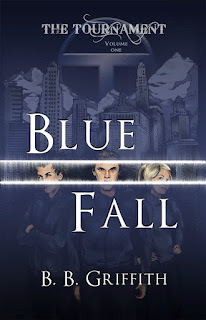 Now, you may be wondering just how many wizards and robots I have packed into my own book Blue Fall. The answer might surprise you: None. That’s right! Not a single wizard to be seen! No elves, no ghosts, no zombies, no vampires, no post-apocalyptic scenarios. Nada. And yet, I am comfortable calling it speculative fiction. Why? Because (and I say this in the best way possible) it’s a little…off. It is the product of a wild imagination. And maybe therein lies the best description of speculative fiction: The stuff of wild imagination. 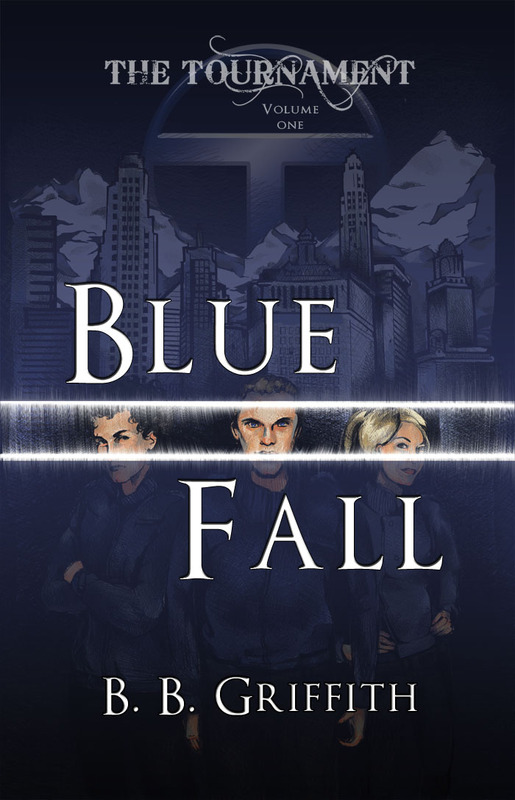 Blue Fall is an award winning techno-thriller that is perfectly happy with being described as speculative fiction. It is available in print and for your Kindle. Thank you so much for the discussion today, Brad! "There was a time...long ago, when whole nations, entire races of people, pinned their hopes and futures on individual warriors. Whole wars were won and lost on the outcome of a single battle between heroes. Entire countries were moved. Empires rose and fell..."
In Blue Fall, that time has come again. A routine investigation throws a hapless insurance agent down the rabbit hole, into a world where the rich and powerful place wagers on the greatest game on earth. They call it the Tournament. It offers competition without limits. It is beholden to no man, and constrained by no law, and it is extremely dangerous. But where does the true power lie in this World Cup of warfare? With those who place the bets, or with the deadly players themselves? And can one man expose the secret before they find him? Do you guys find yourselves having a hard time explaining what you like to read? Do you go by specific genres or do you find yourself using broader terms like "speculative fiction" or "YA"? I think I do a little bit of both. I love the term "speculative fiction" because it encompasses most of the genres I love to read, but sometimes it's easier just to pigeonhole myself as a "horror reader" because a lot of the books I read outside the horror genre are still dark or horrific in some way. There are some exciting things happening tonight on the Darkfuse website. Lee Thompson - one of my favorite authors - will be doing a live interview. You can read all of my Lee Thompson gushings here. The folks at Darkfuse will be giving one lucky winner a 1-year subscription to the Delirium Kindle Club. That's 24 novellas! They are also giving away some Lee Thompson limited edition hardcovers. Those are some wicked sweet prizes. The event starts tonight at 8 CST/9 EST. Come hang out with me! Pandemonium is the sequel to Lauren Oliver's Delirium. I’m pushing aside the memory of my nightmare, pushing aside thoughts of Alex, pushing aside thoughts of Hana and my old school, push, push, push, like Raven taught me to do. The old life is dead. But the old Lena is dead too. I buried her. I left her beyond a fence, behind a wall of smoke and flame. Lauren Oliver delivers an electrifying follow-up to her acclaimed New York Times bestseller, Delirium. This riveting, brilliant novel crackles with the fire of fierce defiance, forbidden romance, and the sparks of a revolution about to ignite. I really enjoyed Pandemonium despite not caring about pretty much half of the book. The chapters of Pandemonium are set up in an alternating "Then" and "Now" format. My first reaction was "Wow, Lena has been in the Wilds for a long time." Nope. We are only alternating between a span of less than a year. I found myself rushing through the not-so-exciting "Then" chapters to get to the that's-more-like-it "Now" chapters. Pandemonium is a very different read from Delirium. Lena has changed, her world has changed, nothing is the same. 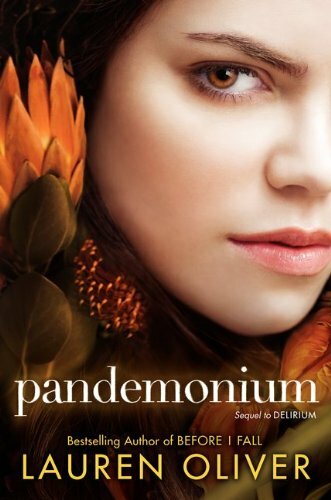 I was longing a little for what Lauren Oliver created in Delirium, but I loved the intensity of Pandemonium. The rest of the series is wide open to be anything Lauren Oliver wants it to be. I think that is a pretty great thing. You have probably seen lots of reactions to the ending of Pandemonium. I'll go on record saying I'm a huge fan of the ending. Add that ending to Lauren Oliver's empty canvas, and I'm super excited for book 3. The wait for Requiem will be even harder than the wait we endured for Pandemonium. 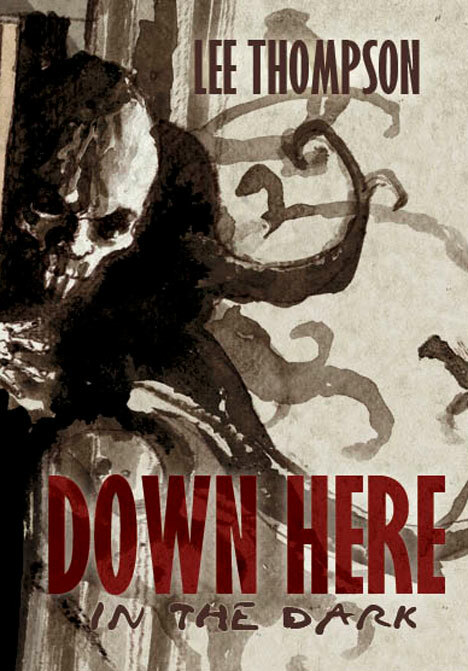 If you've read and enjoyed Delirium, it is well worth it to read Pandemonium. 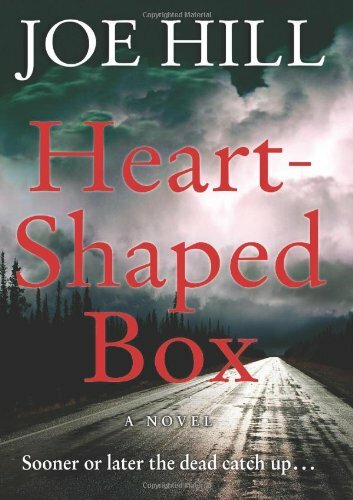 Heart-Shaped Box is the debut novel of Joe Hill. I will sell my stepfather's ghost to the highest bidder . . .
For a thousand dollars, Jude has become the owner of a dead man's suit, said to be haunted by a restless spirit. 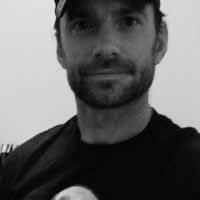 But what UPS delivers to his door in a black heart-shaped box is no metaphorical ghost, no benign conversation piece. Suddenly the suit's previous owner is everywhere: behind the bedroom door . . . seated in Jude's restored Mustang . . . staring out from his widescreen TV. Waiting—with a gleaming razor blade on a chain dangling from one hand . . . Heart-Shaped Box has not only been sitting on my bookshelf for years, it has been sitting on my small "read this one next" shelf pretty much the entire time. It's funny how that happens. Thanks to some gentle prodding from my friends on Goodreads, I have finally taken Heart-Shaped Box off the shelf and given it a read. I'm very glad that I did. I love how Joe Hill jumps right into the story. We learn right away about Jude's collection of grotesque and bizarre things, and he wastes no time getting straight to the ghost of Craddock McDermott. Jude buys Craddock McDermott's ghost in an online auction and gets much more than another unusual object for his collection. Heart-Shaped Box is not your typical ghost story. Jude and those closest to him are most definitely haunted, but it goes much deeper than that. The characters are raw and the relationships complex. I did worry about the lack of mystery surrounding the ghost and its origins, but there turned out to be lots of surprises along the way. Heart-Shaped Box also made me realize how much I miss having a good, strong dog in my stories. I haven't experienced that since I quit reading Dean Koontz. If you're like me and you've had Heart-Shaped Box on your list for a while, let me prod you into finally giving it a read. You will be glad you did. Only a couple of new releases caught my eye this week. What did I miss? Be sure to let me know what books you were excited about this week. "The living haunt the dead..." These fifteen genre-bending stories are set against a backdrop of sudden violence and profound regret, populated by characters whose circumstances and longings drive them to the point of no return... and sometimes even further. A young girl takes a journey to see what is really hidden within the belly of an ancient water tower. A high school senior learns about defiance on a school bus and witnesses a tragedy that he won''t soon forget. Six survivors in an underground bunker discuss the possibility of Armageddon being an elaborate hoax. Two brothers take a walk on the dark side of the wheat field and discover that some bonds are stronger than death. And in the title story, a former train conductor must confront the ghosts of his past while learning that it''s not the dead who haunt the living, but the other way around. Traversing the back roads of the south and beyond, these stories probe the boundaries of imagination, taking the reader to the fringes of a society where the world looks different, and once you visit, you won''t ever be the same. I hope you guys had a great week! 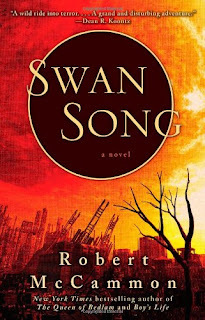 Swan Song is an epic post-apocalyptic novel by Robert McCammon. In a wasteland born of rage and fear, populated by monstrous creatures and marauding armies, earth's last survivors have been drawn into the final battle between good and evil, that will decide the fate of humanity: Sister, who discovers a strange and transformative glass artifact in the destroyed Manhattan streets; Joshua Hutchins, the pro wrestler who takes refuge from the nuclear fallout at a Nebraska gas station; and Swan, a young girl possessing special powers, who travels alongside Josh to a Missouri town where healing and recovery can begin with Swan's gifts. But the ancient force behind earth's devastation is scouring the walking wounded for recruits for its relentless army, beginning with Swan herself. Here's the bottom line: Swan Song is one of my favorite books of all time. It's one of the books I was most looking forward to rereading during my The Great McCammon Read. It stills impacts me every bit as much as the first time I read it. If you are a fan of post-apocalyptic fiction, Swan Song is an absolute must read. I give it my highest recommendation. Oops. Wrong tagline. :) Stop the Countdown. Save the World. Seriously, though, I love countdowns to doom. Bomb timers, folks being buried alive, countdowns to the end of the earth... I can't get enough. It hooks me every time. But this also has some chick dying and being brought back to life! Why can't she fall in love with him? She's going to have to sacrifice to save the world, isn't she? Love it! What book are you looking forward to reading? This post is being shared as part of Breaking the Spine's "Waiting for" Wednesday. 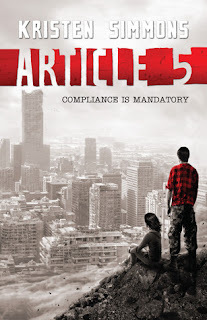 Article 5 is the first book in Kristen Simmons's Article 5 series. Few things can sell me on a book like a lot of action. 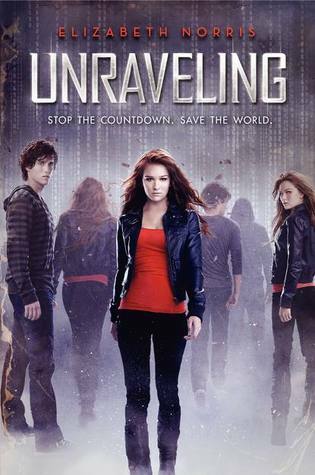 I love action packed page turners, and the idea of a YA dystopian novel with non-stop action was too good to pass up. Unfortuntely, Article 5 turned out to not really be my thing. The dystopian premise of Article 5 is the government enforcing strict moral statutes on its citizens. I could never figure out what would cause society to evolve that way. The statutes were still being rolled out through the states yet the states enforcing these moral statutes were already executing people. The main character of Article 5, Ember, was born out of wedlock 17 years ago. Article 5 of the moral statutes dictates that only children conceived by a married husband and wife are valid citizens. When the government updated the statute to include existing minors, Ember's mother became an automatic violator and Ember became property of the government. As I stated, there is a lot of action in Article 5. Ember is on the run from the government and trying to save her mother. I normally love a good chase book where the characters are on the run, but I never understood why anyone cared or why all those resources were being used to such an extreme toward individual citizens like Ember and her mom. Ember was a sympathetic character but she didn't have much snap to her. I wanted to holler at her a lot. In the end, the action taking place throughout Article 5 wasn't enough to make me a fan. I needed a reason to believe the events would even happen and the characters were more frustrating than they were likeable. I will not be reading more books in the Article 5 series. These are the new releases that caught my eye this week. What did I miss? Be sure to let me know what books you were excited about this week! Jennie only has to stay at her great-grandmother's for a few hours while her mother is at work. But if she can't keep her hands to herself, will she live to regret it? This is a short story, approximately 3,000 words. The human race is all but extinct after a war with Partials—engineered organic beings identical to humans—has decimated the population. Reduced to only tens of thousands by RM, a weaponized virus to which only a fraction of humanity is immune, the survivors in North America have huddled together on Long Island while the Partials have mysteriously retreated. The threat of the Partials is still imminent, but, worse, no baby has been born immune to RM in more than a decade. Our time is running out. Kira, a sixteen-year-old medic-in-training, is on the front lines of this battle, seeing RM ravage the community while mandatory pregnancy laws have pushed what's left of humanity to the brink of civil war, and she's not content to stand by and watch. But as she makes a desperate decision to save the last of her race, she will find that the survival of humans and Partials alike rests in her attempts to uncover the connections between them—connections that humanity has forgotten, or perhaps never even knew were there. Dan Wells, acclaimed author of I Am Not a Serial Killer, takes readers on a pulsepounding journey into a world where the very concept of what it means to be human is in question—one where our humanity is both our greatest liability and our only hope for survival. It was a typical evening at a local Annapolis tavern, until a girl walked in, collapsed and died. The cause of her death was anything but natural. Something had latched itself to the base of her skull. Some type of creature unlike anything seen before. And it didn't arrive alone. Now, the patrons of The Fulcrum are trapped, held prisoner within the tavern's walls by monstrous things that flit across the night sky, trying to find their way in. As some of you may know, I've been slowly making my way through Stephen King's The Dark Tower series. The last Dark Tower book I read was book #4 Wizard and Glass. At some point, while worrying over the copyedited manuscript of the next book (11/22/63, out November 8th), I started thinking—and dreaming—about Mid-World again. 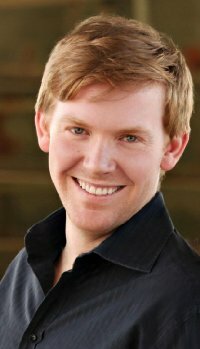 The major story of Roland and his ka-tet was told, but I realized there was at least one hole in the narrative progression: what happened to Roland, Jake, Eddie, Susannah, and Oy between the time they leave the Emerald City (the end of Wizard and Glass) and the time we pick them up again, on the outskirts of Calla Bryn Sturgis (the beginning of Wolves of the Calla)? There was a storm, I decided. One of sudden and vicious intensity. The kind to which billy-bumblers like Oy are particularly susceptible. Little by little, a story began to take shape. I saw a line of riders, one of them Roland’s old mate, Jamie DeCurry, emerging from clouds of alkali dust thrown by a high wind. I saw a severed head on a fencepost. I saw a swamp full of dangers and terrors. I saw just enough to want to see the rest. Long story short, I went back to visit an-tet with my friends for awhile. The result is a novel called The Wind Through the Keyhole. It’s finished, and I expect it will be published next year. It won’t tell you much that’s new about Roland and his friends, but there’s a lot none of us knew about Mid-World, both past and present. The novel is shorter than DT 2-7, but quite a bit longer than the first volume—call this one DT-4.5. It’s not going to change anybody’s life, but God, I had fun. You can guess my question right? Which one should I read next? I've been under the impression (aka my own assumption) that I was to read The Wind Through the Keyhole once I reached the end of the series. 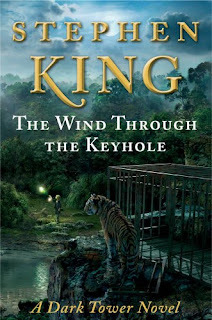 If The Wind Through the Keyhole is considered #4.5, should I read The Wind Through the Keyhole next instead of The Wolves of the Calla?